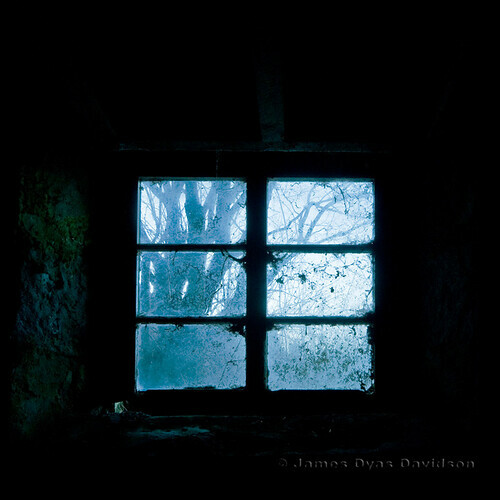 James Dyas Davidson: And if you feel that you can't go on. And your will's sinkin low. Just believe and you can't go wrong. In the light you will find the road. And if you feel that you can't go on. And your will's sinkin low. Just believe and you can't go wrong. In the light you will find the road. And if you feel that you can't go on. And your will's sinkin' low. Just believe and you can't go wrong. In the light you will find the road., a photo by James_at_Slack on Flickr. When I decided to learn how to play the guitar, way back when I was a teenager, I did what many budding guitarist did and learned to play by copying my 'heroes'. As a matter of fact, I still do. Recently, Yvonne wanted me to learn the Civil Wars' 'From this Valley' so she could sing along. Few hours later I was playing the song and she was singing along. Great fun and a sense of achievement. During my drive to work this week I was wondering why I never approached photography that way? Why had I never studied a photographer who I admired and then tried to copy the image? Perhaps then, try to emulate the photographer's style? That could lead on to trying to work out what was the thinking/purpose behind the photographer's images? If I could grasp that then maybe I could move closer to my own thinking? I just took photographs. It never occured to me when I was a teenager taking photographs to copy other photographer's work the same way I was copying guitarist's work when I was playing the guitar. I do sometimes combine songs I used to play or can play on the guitar with one of my images, like the image above. I think musical composition is a completely different skill from playing an instrument, whereas you can't make art with a camera without composing. This does make me wonder why all three of my daughter's art GCSE's (art, textiles and photography)appear to be based around teaching her to imitate the styles of other artists! I guess it's one way of learning technical skills. I was also interested in your comments on silence. I have been doing some collaborative work with a friend who is a pianist. One of the pieces we worked on together was a Bach Partita, and his comment about that piece was that it is the silences between the movements that are as important as the music (and had we kept working on it I think that's where the images may have been placed). I look forward to what you have to say today...! Hi Mike and thanks for taking the time to comment. On the way to Inverness yesterday I was trying to figure out this different approach with Lucy. We spoke about how some members of camera clubs DO just copy,or try to copy an image they see. Camera club competitions are full of images we've all seen many times. I was never inclined to try to make my copy of an image I liked. It was not possible in most cases - for example, how was I supposed to copy the amazing images of Diane Arbus I liked so much?! I tended to just snap away and create my own images, some OK, many rubbish. The main thing was I was trying to capture and 'organise' my world - as you say, I had to compose it. To 'compose' anything on the guitar I copied other's compositions to get that sense of achievement. Ironically, the better I copied someone else's tune, the more people thought I was getting beter on the guitar - the opposite of photography? Silence in music and negative space in photography - similar impact? I wish I could work out how to capture that silence in the abandoned houses I go to.